Infinity scarf/cowl - warm green SOLD! Actual shipping charges apply; we will contact you after your order is placed with the mailing fee. 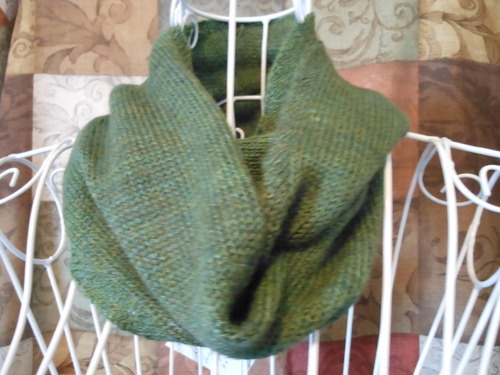 Lightweight scarf/cowl with a lovely drape and that luscious sheen provided by the amazing suri alpaca. 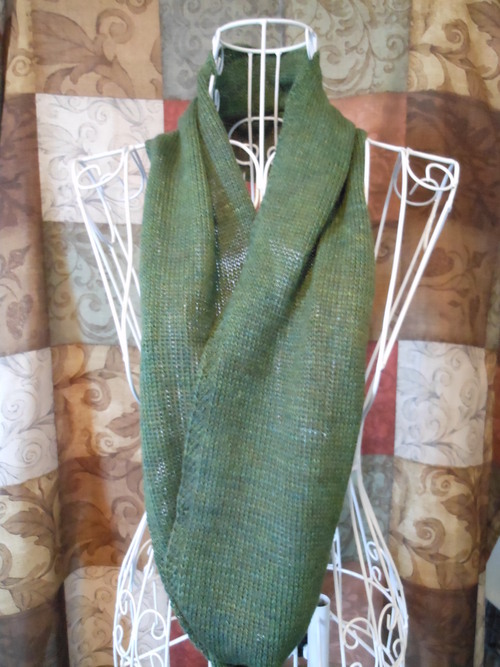 Can be worn loose or doubled around the neck for soft silky warmth.